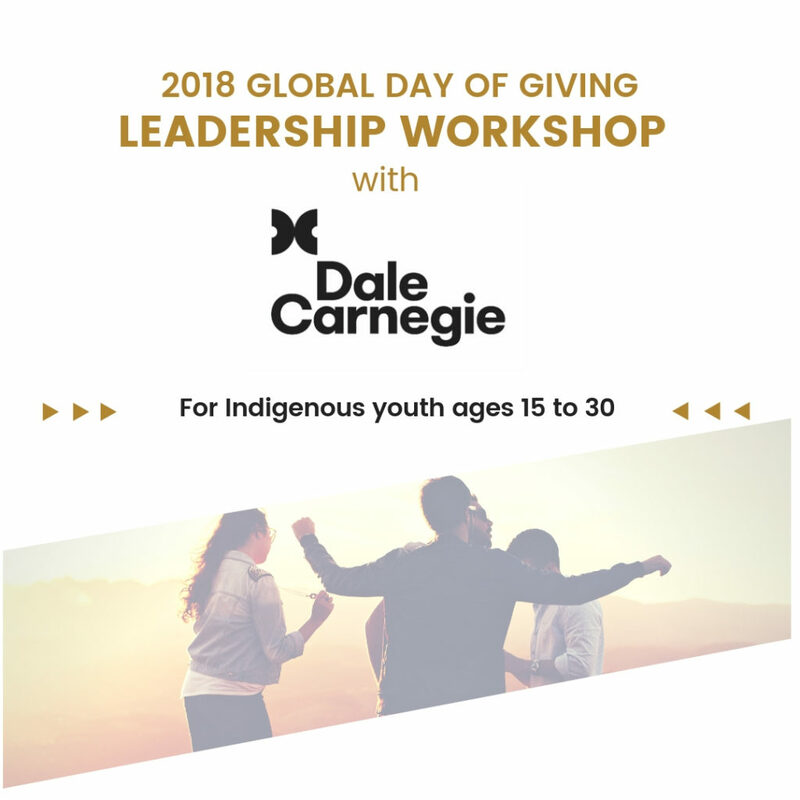 For the 2018 Global Day of Giving, Urban Native Youth Association is excited to be partnering with Dale Carnegie Training. Through this partnership, we will be hosting a free leadership workshop for Indigenous youth ages 15 to 30 on October 26, 2018. For over 100 years, Dale Carnegie has supported communities with the goal of transforming the lives and career potential of people through human relationship skill building. Each year Dale Carnegie Training celebrates their founder’s day in a very special way: by introducing teens, young adults and the people who work with them, to Dale Carnegie’s timeless principles. Dale Carnegie the industry leader in professional training and development solutions, with over 100 years of proven success. INSTRUCTOR: This workshop will be led by Dale Carnegie instructor Jenna MacArthur. We’ll start with lunch at 11:30 am. The workshop will then take place from 12 pm to 3 pm.